Vortice throttle-body spacers are designed to provide additional performance with your factory or Volants Cool Air Intake system. Manufactured from glass-filled Nylon composite. 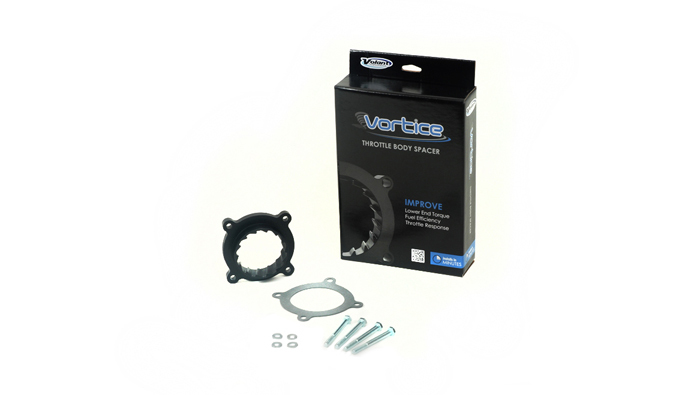 The Vortice spacers are incredibly strong, yet lightweight and install behind your vehicles throttle body to promote quicker throttle response and in most applications, provide a slight improvement in fuel efficiency.